As punters, we’re all experiencing first hand how the way we buy games is changing and it’s definitely an exciting time to be a consumer of games. However, being on the other side of the coin is another story altogether. 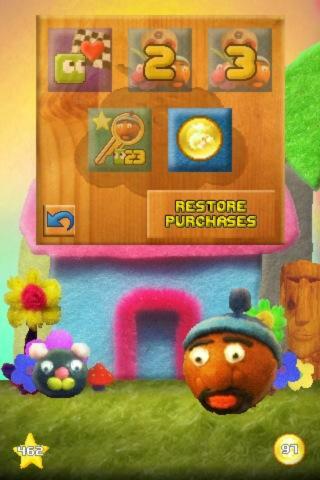 Deciding how to earn money from your iPhone game is grim. It feels like at the end of a game show when you’ve done all the hard work and answered all the right questions – but when it comes down to the final gamble, greed and tiny mistakes can make you lose that yacht. Except we’re not after a yacht. None of us can sail, nor have room for one. We’re after our very own camper van. So with our eyes on the prize, we went off and read loads of stuff on the internet about how to monetise apps. Naturally there’s shovel-loads about it ranging from chicken bone prodding pseudo-science to fantastically detailed but terrifyingly complex analysis. Some of it sank in, some of it didn’t. Some of it still gives us nightmares. Some of the words are horrible sounding like ‘stickiness’ and ‘monetisation’. The sort of words you feel like a prat for reading, let alone using. It’s the huge variety of solutions different industry faces suggest daily that gets confusing. Just when you’ve decided on one method of earning money for your app, you read another blog suggesting you’d be a spanner to follow it. There’s DLC, IAP, Freemium… we even tried a version with iAds to see what that would look like. In fact it kinda bummed us out looking at the test advertisement in front of the felt and plasticine. It was clear that we needed to come at this from a different angle. 1) Make a game people will want to play, and will enjoy playing. I guess the safest way to know what you’re doing will appeal to people is make it like something that they already like. Some companies try and copy games that have already done well on the AppStore but attempt to monetise them more effectively. Others mimic a pre-existing visual style of a pre-existing company or franchise in the hope that people will be drawn to it through familiarity. We’ve taken a bit of a gamble in that it’s an original game idea. (as far as we know there aren’t any other slingshot platform games – but I’m sure someone somewhere has made one!) Also, it doesn’t really look like anything else up there on the AppStore. There’s the whole felt and plasticine thing coupled with the anarchic surrealism and joyfulness. We’ve definitely put our heart and soul into making a game people will want to play and enjoy playing. Our friends and testers have fun with it, we’re still playing it all the time… so even though it’s fairly unfamiliar gaming territory, we’re pretty sure folk out there will like it too. Now here’s where it starts to get tough. Our previous games haven’t shifted that many units. Certainly not a campervan’s worth anyway. This time, we’ve tried to be a lot more open and chatty about what we’re doing. We’ve been using our website to blog our progress, and using Facebook and Twitter as not only a way to tell people what we’re doing, but to get feedback and find out what it is that we’re doing that people want to see more of. We’ve also tried to get the word out there in magazines, and it’s been really cool having our videos on PocketGamer and AppSpy, along with GameRevolution and GameSpot hosting our trailers. We’ve also noticed a few mentions in the Chinese press! On the whole we’ve found some websites are more open to us than others, and the best publicity has been through friends on Facebook sharing our links. They like the stuff that’s funny and silly. The only other way to get as many people to play it as possible is to make it free. In all those articles we were reading, we’re sure we read something like ‘a free game is 10 times more likely to be downloaded than one that costs money’. That’s why we decided to essentially create a full featured game which would be free to download. 3) Let people buy as much of the game as they want. So after getting a nice wodge of game for free, our customers will hopefully be pumped to find out that by spending mere pocket change, Frutorious can be expanded upon to become a veritable video-gaming banquet for the price of a couple of packets of crisps! There are two extra level packs which will each sell for Tier 1 price (69p in the UK). If folk are still having fun ploughing on through the free levels and maybe need some power-ups to help out, they can buy a pack of 500 play coins for Tier 1 price. This is enough for 50 plays on Frutorious Pro, or lots and lots of handy power-ups to help mop up those last stars needed to unlock the next season. This isn’t paying to cheat, though. Players can earn these play coins through normal game-play without spending a penny, and we even start the player off with 50. 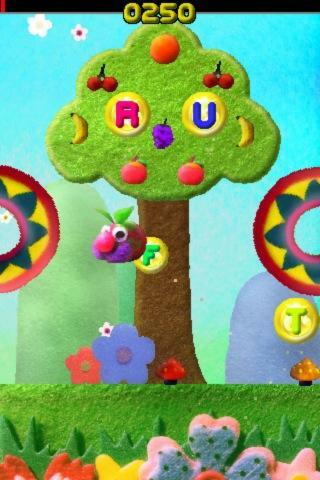 There’s also the endless arcade mode ‘Frutorious Pro‘ which can be set to Freeplay (no longer costing play coins to use). This will cost 69p to unlock as it really is a game in itself. The implementation of GameCentre leaderboards has made for some very hot competition between us and the test team and we can’t wait for people to get their teeth into this mode in the wild. To unlock everything in the game; that’s both the year level packs and Frutorious Pro Freeplay; people can buy the Frutorious Key for Tier 3 price (£1.49 here in the UK.) This is the thing that we really want people to buy, because then they get the best value for money for the content. Why didn’t we sell the game for £1.49 in the first place? Well, because this way more people will ultimately get to play it and we’re massive hippies at heart so that pleases us. Also, when we were nippers, a game used to cost £1.99 and we think 50p cheaper is an absolute bargain in itself and a fair price for everyone. 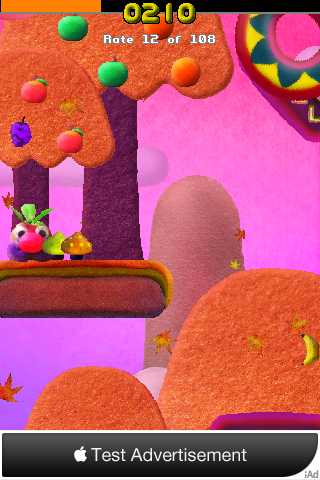 Now, we’re submitting Frutorious this weekend, so with the wind behind us and a bit of luck, we’ll be on the AppStore by the middle of September. Then fingers crossed and who knows… we might one day afford that camper van! Next post11th Hour Amusing Bug… GIANT F.I.G!